The Route 464 is called Omachi Nashi Kaido (pear highway) since the road runs through many pear gardens in Matsudo, Ichikawa and Kamagaya city whose special products are pears. 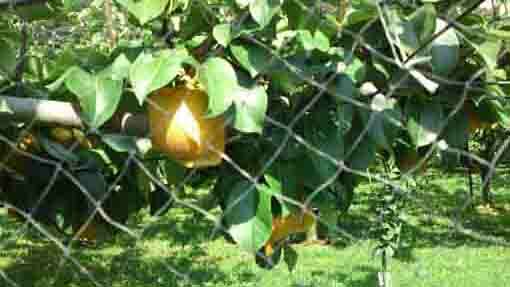 From summer to fall, several thousand of cars lined on the route and people on them would enjoy picking pears and eating sweet pears at the gardens there. 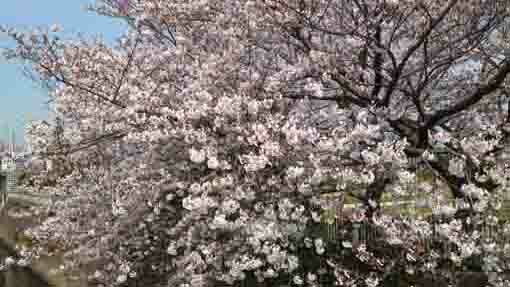 In northern part of Ichikawa, Omachi and Ono, there are many pear gardens and direct sales stores of pears, then visitors could enjoy having fruit in seasons. 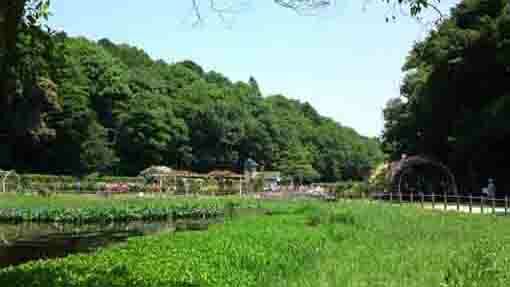 And there is also Omachi Recreation Zone where people living in Ichikawa could feel nature in. 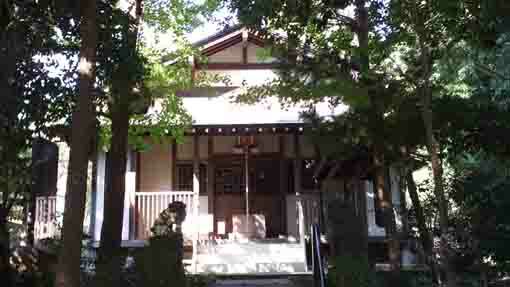 Kaii Higashiyama, the famous painter lived in Ichikawa had often visited. Moreover, many legends of Masakado Taira, one of the greatest hero in Japanese history remain in Ono. 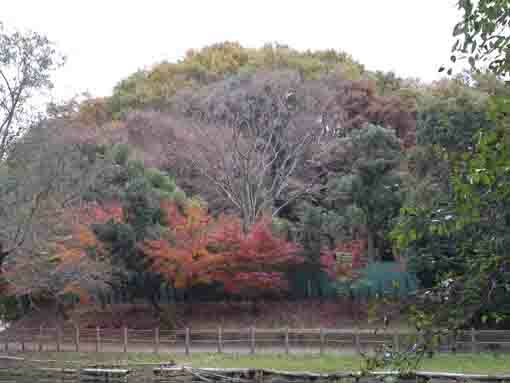 The remain of Onojo Castle built by him and other landmarks connecting to him remain in it. 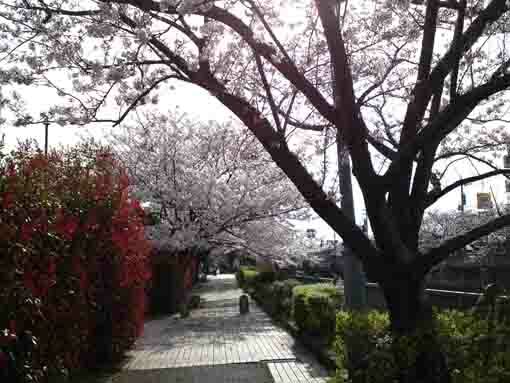 And some called Ichikawa 'the town of Nichiren', so Nobunori Soya, one of great supporters of Nichiren built a temple in Ono, and Michinobe in Kamagaya upper area along Ogashiwagawa River said to be the home town of Nichiren's mother. The area around Omachi and Ono has not only pears gardens and great nature but it also has many landmarks telling history of the areas. Why don't you visit Omachi and Ono? 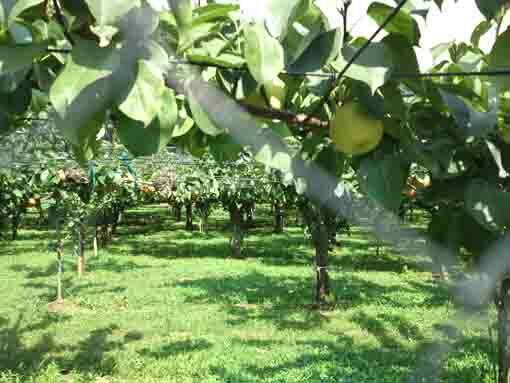 Omachi and Ono have many pear gardens, pears are their special products. 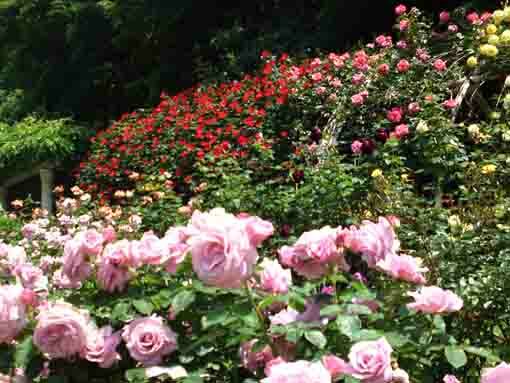 It has the Rose Garden and the Village of Maple Trees. It has a legend connecting to Masakado Taira and it dedicates him. 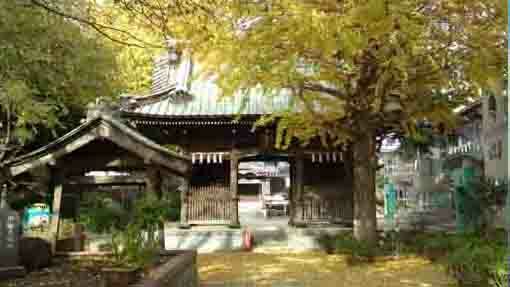 It was built by Norinobu Soya and has a legend of Masakado Taira and Komagata Grand Shrine. 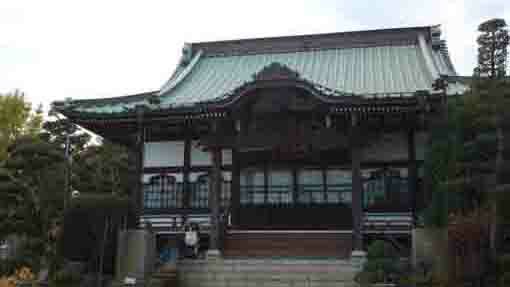 It was built by Masakado Taira, one of the most famous samurai heroes in Kanto. 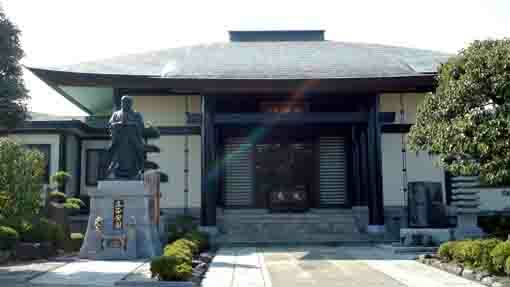 It was famous for the statue of Chichinashi Nio and it belongs to Shichifukujin in Ichokawa. 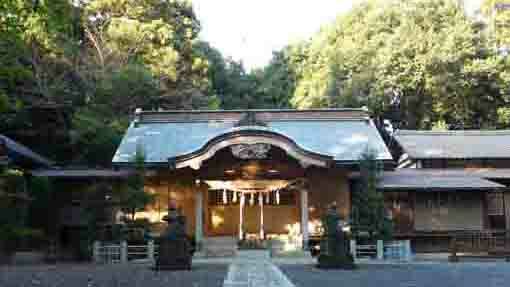 The shrine of Gozu Tenno, the god giving children to faithful couples, is dedicated in it. 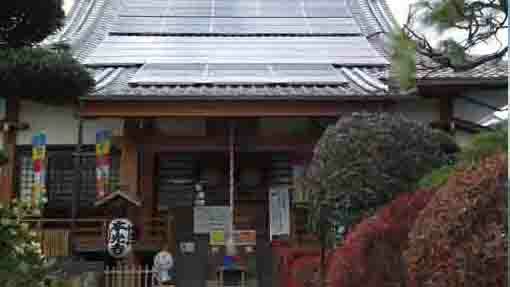 It dedicates Daikokuten, the god of wealth, belonging to Ichikawa Shichifukujin. 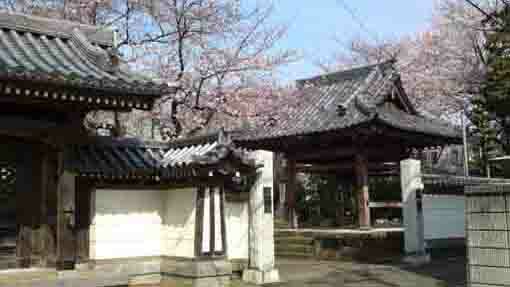 It is an old temple with 650 years history and it has Ono Tenmangu Shrine built by Masakado Taira. Many attractive landmarks stand along it. 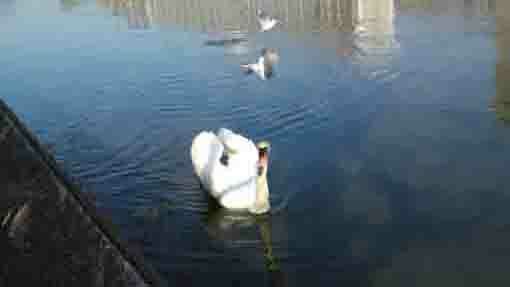 swans and some waterfowls go on the pond surrounded by cherry trees in spring.